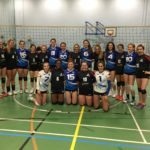 Ashcombe Dorking 1 move into 5th place after beating Reading Aces 3-1 on Sunday 25th November at Ashcombe VC., Leah Blight was named as Player of the Match. 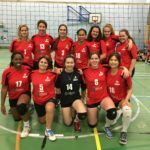 Cardiff Falcons are the next opponents for Ashcombe Dorking when they travel to Ashcombe next Sunday 3rd December. 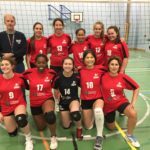 Ashcombe beat South Hants in 5 sets on Saturday 18th November to stay mid table in National League Division 2 South. 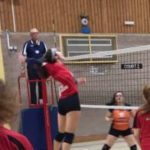 Four more matches before Christmas will keep Ashcombe’s training schedule busy.